The show has been almost uniformly praised. But behind the scenes, its origins have stoked evident embarrassment. Pashinyan’s government is distancing itself from the man who set it in motion: Vigen Sargsyan, a long-time high-ranking member of the former government. In an interview with Eurasianet, Sargsyan said that he pitched the idea of the show in September 2015, when he was chief of staff to then-president Serzh Sargsyan (the two are not related). 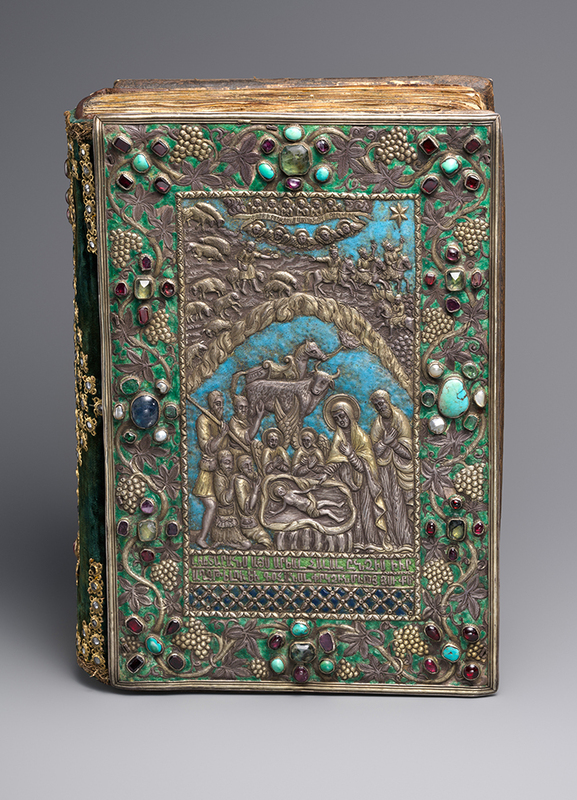 Vigen Sargsyan’s brief for two successive administrations included cultural projects, and he coordinated major exhibitions of Armenian art abroad, including “Armenia Sacra” at Paris’s Louvre in 2007 and a 2012 show in Venice. During a September 2015 presidential visit to New York, he started thinking about a similarly large-scale exhibit in the United States. 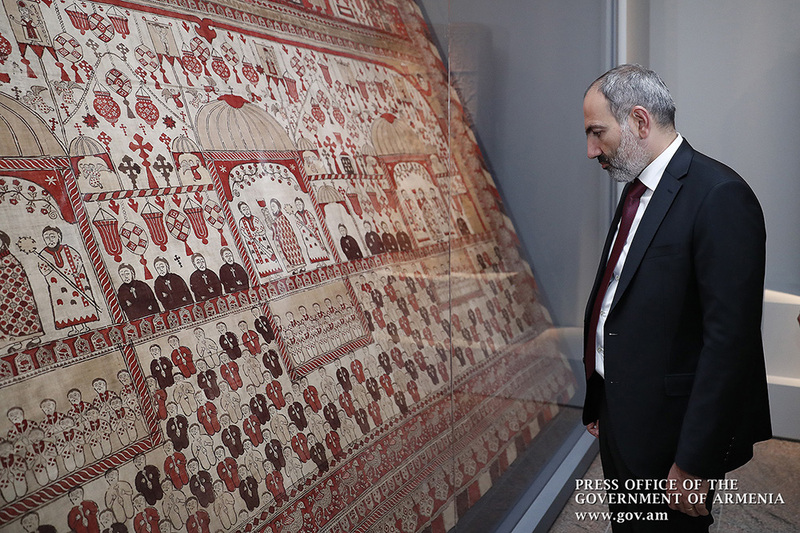 “And my eye fell on the Metropolitan Museum,” Sargsyan said. The Met corroborated Sargsyan’s version of events. When the exhibit eventually opened months after the “Velvet Revolution” in Yerevan, the new authorities embraced it. A few days before the opening Lilit Makunts, the scholar and activist who had been recently appointed Armenia’s minister of culture, presided over a press conference and thanked, among others, the U.S.-based Hagop Kevorkian Fund as the main sponsor of the show. After her initial remarks, the Reverend Asoghik Karapetyan, an Armenian Church representative, took the microphone and stressed Sargsyan’s role in bringing the exhibit to fruition. When a reporter followed up to ask Makunts whether a figure from the old regime – typically painted as irredeemably venal by the new authorities – was indeed behind the show, she professed ignorance. “If Father Asoghik says so… I don’t know all the details about whose initiative it had been,” Makunts said. Sargsyan said that he was invited to the opening but couldn’t attend due to work commitments; he remains deputy chairman of the former ruling Republican Party of Armenia. He brushed off questions about credit for the exhibit. “The fact that this exhibition took place makes me the happiest man,” he said. The exhibit enjoyed good press, with The New York Times calling it a “great show,” and similarly glowing reviews in the New York Review of Books, The Wall Street Journal and The Washington Post. The majority opinion among Armenians was equally favorable, with substantial excitement about such a major Armenia-themed event in one of the world’s most prominent art institutions. 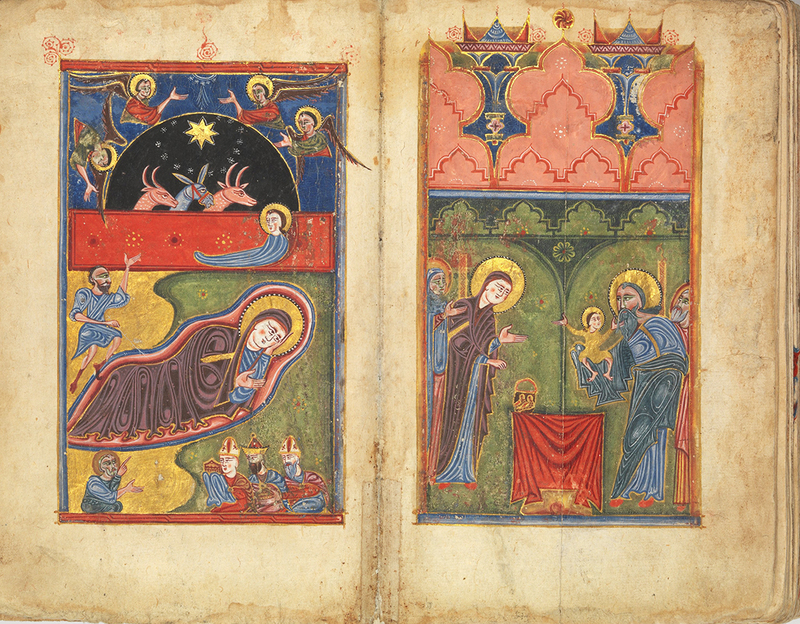 The focus on Armenia’s Christian culture is in part explained by the fact that little material evidence has survived from the nation’s pagan past. But the Armenian church – which also frames Armenia’s history in this way – was heavily involved in organizing the show.